When Congress passed a law in February 2010 that allowed firearms to be carried into national parks, I worried about the impact that would have on Yellowstone’s wildlife. And now my unspoken fears have come true. 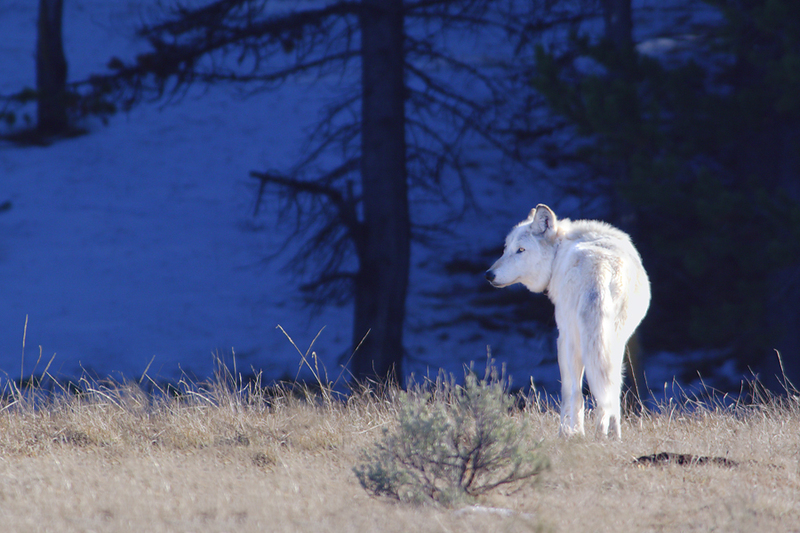 The alpha female of Yellowstone’s Canyon Pack was shot, illegally, last month. I saw her many times between 2005 and 2017, but my favorite memory is seeing her carry her tiny black pups, one by one, across the grassy hills of Hayden Valley to the rendezvous site. It was June, and her pure white coat, gleaming in the sunshine, contrasted against her pups’ coal colored fur. She looked like her mother, the white alpha female of the Hayden Pack. She had a remarkably long life for a wolf and Tim and I watched her with her natal pack many times in Hayden Valley and Cascade Meadows. We watched her wade through Alum Creek and swim the Yellowstone River. 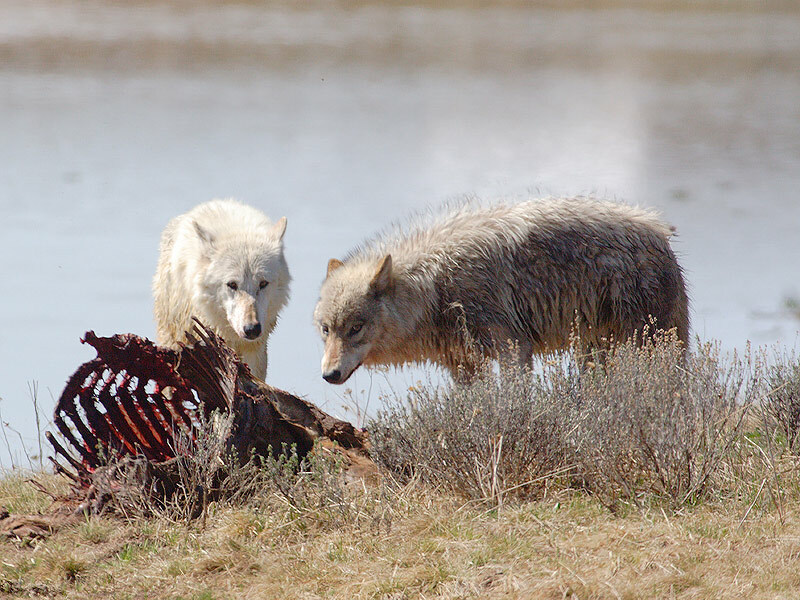 We were there when wolves from the Mollie Pack killed her parents, 540F and 541M, and her new life as an alpha female began. There were stories about her earlier this year; that she wandered away from the rest of the pack – her mate of 10 years, 712M, a yearling female, and two pups. It was like she was lost they said. That she didn’t know how to find them, find home. Maybe she was just wandering, looking for a place to be next. I thought about her often, as if my thoughts could keep her safe. But they didn’t. Outside of Park law enforcement, firearms have no place in national parks. Like other frequent visitors and wolf watchers, I will miss this White Beauty in June, the next trip, and the next. But I like to imagine that she is still there, somewhere behind the veil. She was really something to see. Pure white, regal, a true alpha female. She will be missed. I hate that her legacy is now colored by the unbelievably self centered act of an immature person.